Hugging after conflict can reduce stress levels. After any conflict with your partner, giving them a hug might be the last thing you feel like doing – especially if you’re prone to stropping or sulking and need time to lick your wounds after having a row. Very often couples come into counselling wishing the other person would make things better after they’ve rowed, but in practice it’s better for the wellbeing of your relationship to make the first move and offer a hug to your partner. And this is backed by science: apparently giving your partner a hug after you’ve had a falling out can help reduce the impact on mood and minimise the stress caused by the conflict in the first place. Research carried out by Carnegie Mellon University and published in the PLOS ONE journal has found that receiving a hug after an argument acts like “a buffer against deleterious changes in emotions associated with experiencing interpersonal conflict”. A post-argument hug can protect psychological health and can lead to better relationships over time, say the researchers. They carried out the study by interviewing more than 400 adults for 14 consecutive days about their conflicts, receiving hugs, and the positive and negative emotions associated with the conflicts and the hugs. They found that receiving a hug on the day of conflict was linked to a smaller decrease in positive emotions and a smaller increase in negative emotions. 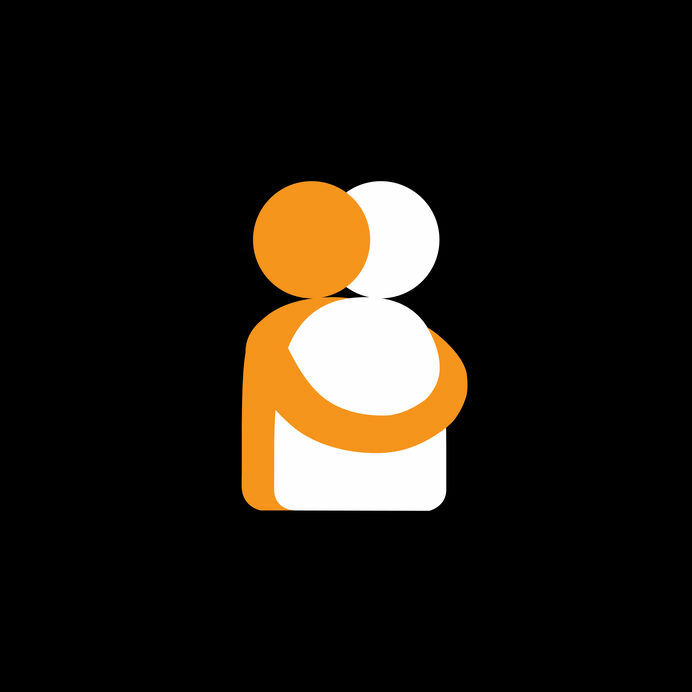 The impact of a hug can have a longer-lasting effect too, with study participants reporting that a positive impact on their mood on the day following the conflict. So, for the benefit of you, your partner and your relationship: after a row, aim to hug and make up. Couples following Oscar Wilde’s advice that “women are meant to be loved, not to be understood” could be missing a trick. OK, so you can substitute ‘men’ or ‘partners’ in place of ‘women’ to make Wilde’s quote relevant to your own relationship. But the point is that just loving someone isn’t always enough for a successful, enduring relationship – especially when it comes to managing conflict. This concept is highlighted in a Quartz article on how to make conflicts in relationships healthy. It draws on a study from the University of California at Berkeley, ‘Do you get where I’m coming from?’ that examines the perception of being understood in the context of relationship conflict. Researchers Amie M. Gordon and Serena Chen carried out seven studies to test “whether conflict in close relationships is only detrimental when people do not feel their thoughts, feelings, and point-of-view are understood by their relationship partners”. 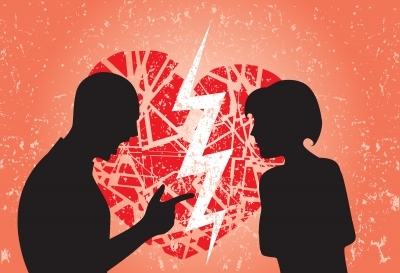 Conflicts can become toxic when partners descend into behaviours such as blaming, withdrawing, making the other party feel guilty, or dragging up past misdemeanours and misunderstandings. The antidote to that toxicity is understanding your partner – and showing him or her that you understand, even while you’re disagreeing. From the perspective of a couples counsellor, this research has huge resonance. Couples often come to therapy with both partners holding an entrenched position: that to compromise would mean ‘giving in’. They’re both holding out for the other person to change. I find that the process of couples counselling is to help partners understand where the other is coming from. In other words, to ‘get’ each other. This may mean appreciating that one is an introvert, the other an extrovert. One may need closeness, the other may need more time alone. One may need to do all the planning, the other prefers to ‘wing it’. Neither is right or wrong. They are individuals in a relationship. Both, ideally, just need to be understood. Couples counselling can facilitate that understanding so couples can be kinder to each other, for who they are and how they respond. If you can identify patterns of conflict within your relationship that you’d like to resolve, and if you feel you’d like to try couples counselling, call Karen on 07956 823501, or email davanticounselling@gmail.com to book an appointment. 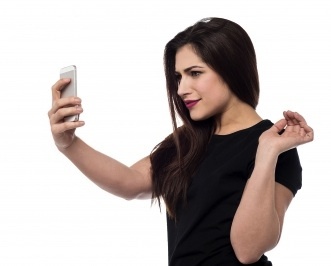 Post too many selfies on Instagram and it can have a negative effect on your relationships. The more selfies you post showing how happy you are with your body, the worse those effects will be. That’s according to recent research into the ‘dark side’ of Instagram use by Florida State University. To investigate the consequences on relationships of posting selfies on Instagram, the researchers carried out an online survey of 420 people aged 18 to 62. One of the findings was that people with higher body image satisfaction (the mental image they have of their physical selves) were more likely to post Instagram selfies. While the selfie-lovers may be happy with how they look, there was a correlation between frequent posting and conflict in their relationships. This conflict manifested as jealousy and arguments – and, in worst cases, break-up, separation and divorce. These negative relationship outcomes can arise from jealous partners becoming hyper-vigilant about Instagram use. 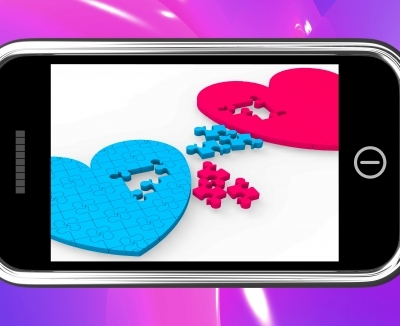 The researchers explain: “We speculate that Instagram-related conflict might arise when users begin to monitor their partner’s Instagram selfie posting behaviours. Excessive online monitoring may then result in verbal disputes between romantic partners [who] may experience jealousy given the amount of likes and comments a selfie has accumulated on Instagram. It is also possible that Instagram selfie posts may capture other users’ attention, resulting in the development of online relationships with other Instagram users.” This can ultimately lead to relationship breakdown. The researchers recommend limiting the number of selfies you post if it’s causing conflict with your partner. They also suggest exploring Instagram and social media use in couples counselling, especially where trust and betrayal are key issues. 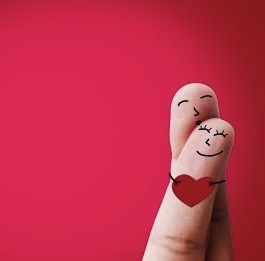 Ask any couple what first brought them together, and it’s likely they’ll say a shared sense of humour was one of the clinching factors in deciding to give their relationship a go. Laughing at the same things helps create shared memories and, as in Victor Hugo’s quote, laughter puts sunshine on the faces of a happy couple. Yet, years down the line when a relationship might turn chilly, the lack of laughter can be the first thing to go – leaving to winter to settle into the relationship. Yet the ability to laugh together is a marker of relationships that last, according to Laura Kurtz and Sara Algoe, psychologists at the University of Carolina at Chapel Hill, who researched this very topic and had it published in the journal Personal Relationships. They videoed 71 heterosexual couples, asking them to talk about how they first met, then coding the instances of spontaneous laughter and asking the couples to complete a survey on relational closeness. They concluded that “the proportion of the conversation spent laughing simultaneously with the romantic partner was uniquely positively associated with global evaluations of relationship quality, closeness, and social support”. In terms of what this means for relationships that have gone cold: attempt to bring spring back by remembering what you both like laughing at, and attempt to reconnect through shared laughter. The image of romantic togetherness may sound idyllic – meeting your soulmate and living happily ever after – but it could ultimately be damaging to your relationship. A psychological study has found that people in romantic relationships who regard their partner as their ‘soulmate’ or their ‘other half’ can struggle when it comes to conflict. After all, if they were a match made in heaven, why on earth would arguments or discord affect their perfect union? 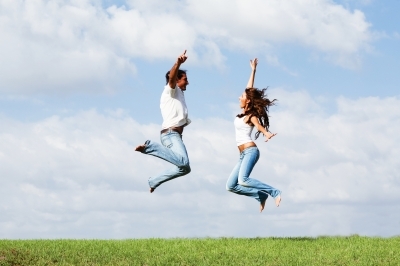 The key to a happy life together lies in how people view and evaluate their relationships. While there may be a multitude of ways of thinking about relationships, the social psychology researchers identified two frames through which to view relationships. One is the ‘Unity’ view, where couples believe they were made for each other and meant to be together. The second is the ‘Journey’ frame, which sees a relationship unfolding over time, with conflict helping to grow the partnership and make it stronger. In two experiments Professor Spike W. S. Lee of the University of Toronto’s Rotman School of Management and Norbert Schwarz of the University of Southern California tested couples on the unity vs journey spectrum. The first experiment was a knowledge quiz that recalled either conflicts or celebrations with their partner. The second, subtler experiment involved identifying shapes that formed a whole (representing unity) or drawing a line from A to B (representing journey). As anticipated, recalling celebrations made people satisfied with their relationship regardless of how they thoughts about it. Recalling conflicts made couples feel less satisfied with their relationship—but significantly only with the unity frame in mind, not with the journey frame in mind. With a quarter of children growing up in ‘loveless’ households – where parental relationships have broken down – the government is calling for more people to seek counselling to work through their emotional issues. Figures from the Department for Work and Pensions (DWP) show that 24% of households where both biological parents live together are unhappy in their relationship. Growing up in unstable homes can put kids at a social disadvantage in later life, says the DWP, and at higher risk of issues with mental health, substance abuse and lower educational attainment. Parents who bicker in front of the kids, and fail to resolve their arguments, could affect their children’s mental and physical health, according to a report by relationship charity OnePlusOne. The study looked at ‘destructive’ and ‘constructive’ conflicts and how they affected children. In destructive conflict, parents sulk, slam doors or make their kids the focus of the row. Constructive conflict is where parents resolve their differences during the argument. Destructive conflict can have social, emotional and behavioural effect on kids. They might start to suffer psychosomatic pains such as stomachache and headache. The insecurity they feel can also affect their growth. Kids growing up in this way can be more likely to perpetuate these conflict behaviours when they become parents themselves.